You know the routine by now. It snows and I bake bread. Today was Blizzard Stella. It was more stress than snow. They forecast high winds and wide spread power outages. I hate loosing power. We do not have a generator and we have well water. Thank God we did not loose power. If we did how would I have baked my bread? This recipe is an oldie! 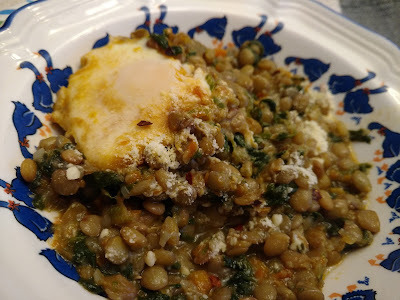 I cut it out of Cooking Light Magazine in 1994. 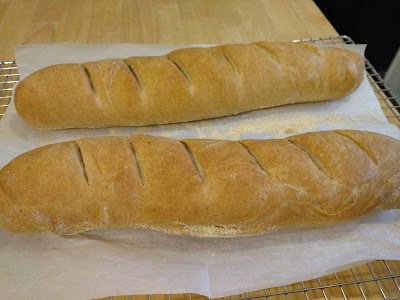 French Wheat Baguettes. Dissolve yeast and sugar in 1/2 cup warm water in a small bowl; let stand 5 minutes. Place bread flour, whole-wheat flour, and salt in food processor, and pulse 4 times or until blended. With processor on, slowly add yeast mixture and remaining 1 cup warm water through food chute; process until dough leaves sides of bowl and forms a ball. Process 15 additional seconds. Turn the dough out onto a lightly floured surface, and knead 3 or 4 times. Place the dough in a large bowl coated with cooking spray, turning to coat top. Cover and let rise in a warm place (85 degrees), free from drafts, 45 minutes or until doubled in bulk. Punch the dough down, and turn out onto a lightly floured surface; knead 3 or 4 times. Cover and let rest 5 minutes. Divide the dough in half, and roll each portion into a 17 x 9-inch rectangle. Roll up each rectangle, starting with a long edge, pressing firmly to eliminate air pockets; pinch ends to seal. Place each roll, seam side down, in an 18-inch-long baguette pan coated with cooking spray and sprinkled with cornmeal. Cover and let rise 45 minutes or until doubled in bulk. Uncover the dough; using a sharp knife, make 6 diagonal cuts 1/4 inch deep across top of loaves. Spray loaves with water. Bake at 400 degrees for 25 minutes or until loaves sound hollow when tapped. Remove from pans; cool on wire racks. Yield: 2 loaves, 12 servings per loaf. 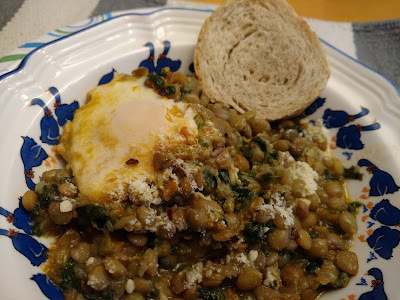 Dinner was Lentil and Egg Stew from Bon Appetit. Comfort food at the end of a stormy day. 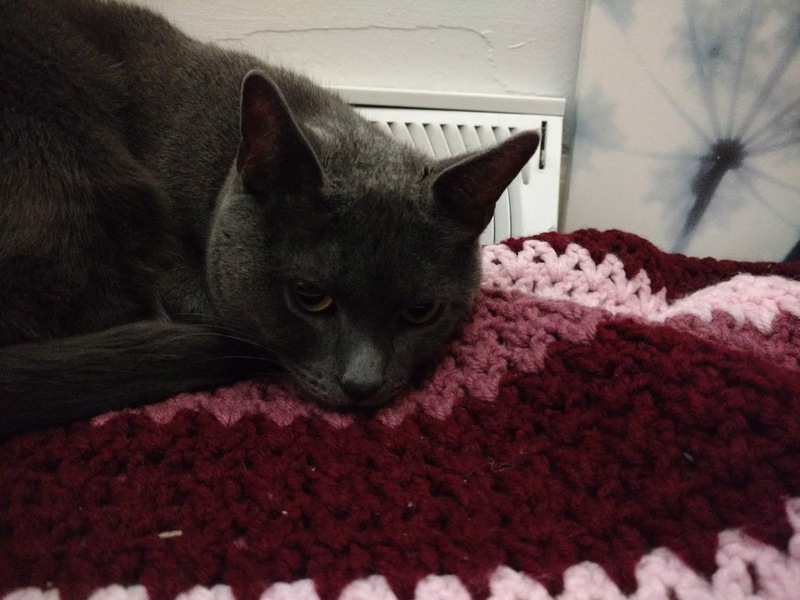 Lucy rode out the storm next to the heat vent.